Are you experiencing issues on your garage doors? Do you want to replace your previous garage doors with a new one? Trust only A1 Garage Door Service, your Austell’s best local garage door service company. Contact us today at 470-236-0800 and experience 100% satisfaction on our services and products. 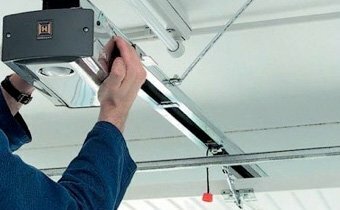 A1 Garage Door Service is the leading garage door service provider in the city of Austell in Georgia. Whether your garage door is for commercial or residential use, we will ensure you get the exact quality of service that you ever wanted in a garage door service company. We pride ourselves in our excellent performance and we always strive to give 100% customer satisfaction to all the homeowners and business owners alike. We stand behind the quality of work of our expert technicians which are experienced for years and trained for months. They passed through the rigorous training required by the company which ensures that they can perform better than any other garage door specialists. We are not after the profit or in becoming the biggest garage door company in America. What we do want is to be the most trusted and dependable garage door service company that provides the highest quality of work and products. That’s why we always strive to give our very best and to offer the best quality service at the most reasonable cost. We carry a comprehensive inventory of top brand names for residential and commercial garage doors, garage door openers, and accessories like Clopay, Amarr, Ankmar, Wayne Dalton, C.H.I, Liftmaster, Martin. These also come in different styles like carriage-house, contemporary, and traditional roll-ups. Whether your garage door is for commercial, heavy duty, or residential use, we guarantee that you’ll get the perfect garage door that fits your requirements with us. You can even get them at a less expensive than others. Plus, we service all the manufacturers’ warranties including lifetime warranties here. Contact us for further details about our residential garage door sales, installation, maintenance, and repair services or if you want to book an appointment today. We know how expensive it is for you to hire an expert to perform your garage door projects in Austell. However, your best local garage door service company offers some great discounts and amazing deals that you will surely enjoy and will give you extreme satisfaction. Plus, you can get your free cost-estimates on installation and repairs when you call us today. 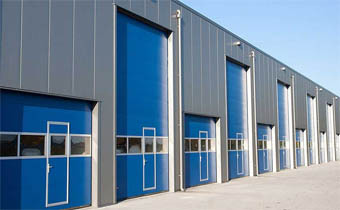 We even offer our 24-hour emergency garage door service. Our customer service representative is always prepared to accept all of your calls. They are always ready to connect you with our expert technicians who are on standby and available to come to your areas and get your garage door problems fixed quickly and efficiently. Remember, nothing can stop us from doing great works for your garage doors even in the midst of bad weather. Contact us today at 470-236-0800 and let’s discuss your garage door problems.